If Stephen Harper is re-elected but holds only a minority of seats, could his government survive? It appears not: Tom Mulcair and Justin Trudeau have both ruled out their respective parties' support. Tom Mulcair has joined Justin Trudeau in ruling out any circumstances in which his party might help prop up Stephen Harper if Conservatives are re-elected but with only a minority of seats. 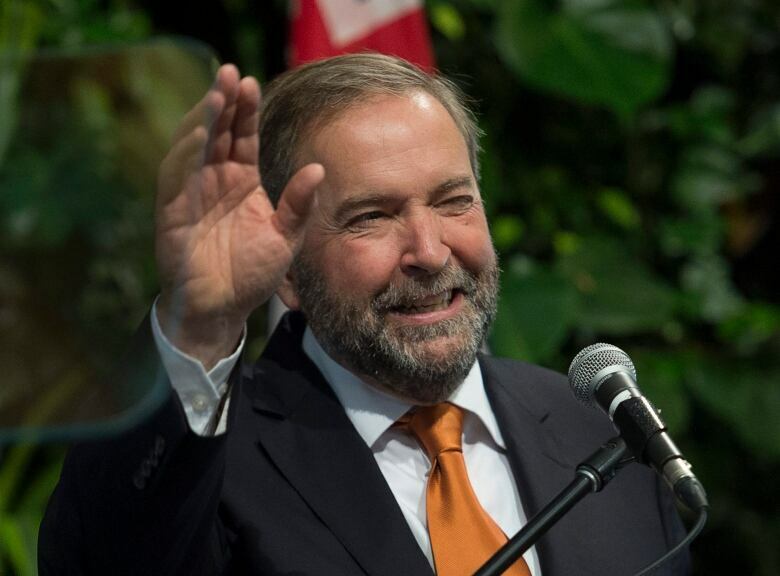 "There isn't a snowball's chance in hell," Mulcair said Wednesday. "I think that anybody who's attended a single question period over the course of the last several years would be able to tell you that there's no likelihood that the NDP would, under any circumstance, be able to support Mr. Harper." Mulcair listed several reasons, including Harper's "divisive politics," "backward economics" and inaction on climate change. 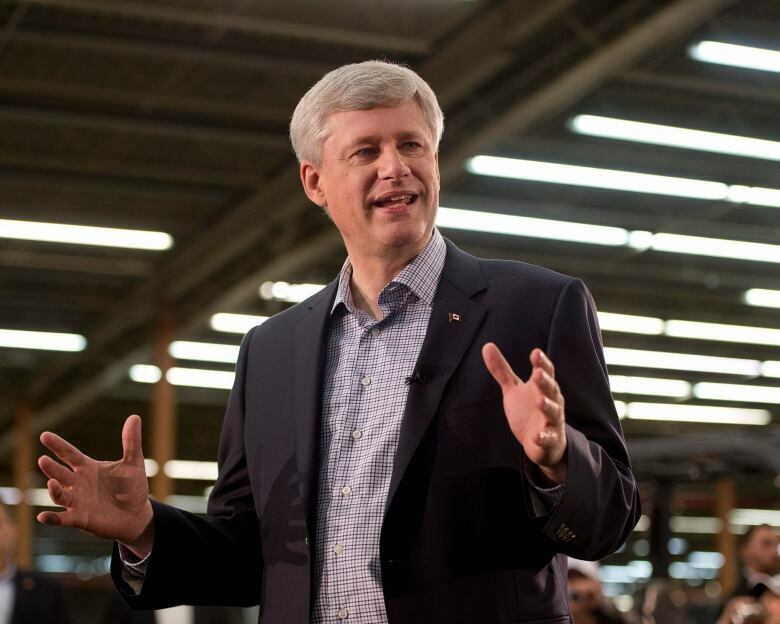 If Harper's party has the most seats after the election, Conservatives would continue to govern. However, it's hard to see how they'd survive confidence motions or pass a budget given the latest strong words from the leaders of the other two parties likely to hold enough seats to broker for power. 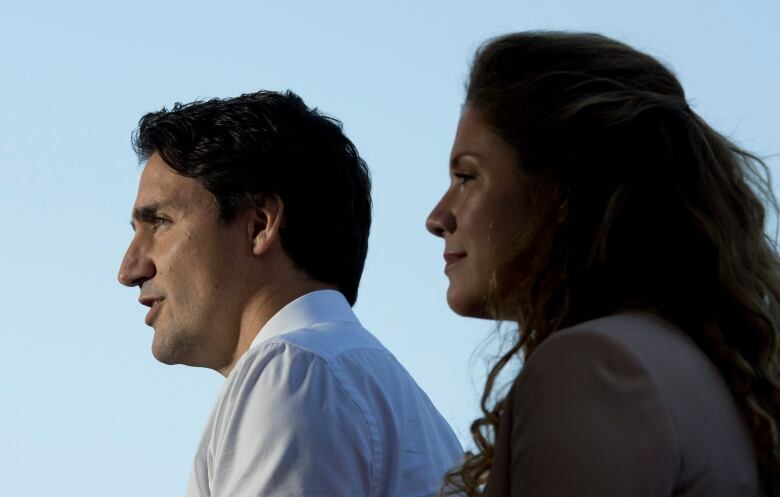 At a campaign stop in downtown Montreal on Tuesday, Trudeau also ruled out his party's help. "Should Canadians take it for granted that you will automatically vote against a Conservative speech from the throne?" the Liberal leader was asked. "I have spent my entire political career fighting against Mr. Harper's narrow and meaner vision of what Canada can be and what the government should do. "There are no circumstances in which I would support Stephen Harper to continue being prime minister of this country," Trudeau said. If the Conservatives lose a confidence vote, including one on the budget, there are two options: another party or parties could be asked to form a government that has enough support to pass confidence votes in the House of Commons or Canadians could head back to the polls to reconsider. Trudeau was also asked whether there was any circumstance in which he would support an NDP government. He didn't directly answer, but suggested he might support such a government on a case by case, or bill by bill, basis. "The Liberal Party has always been open in minority situations to working with other members of the House to pass legislation that serves Canadians," he said. Trudeau has repeatedly said he is not interested in any formal coalition with the NDP — in fact, he has said he is "unequivocally opposed." In an interview with CBC's chief correspondent Peter Mansbridge, he said the party that wins the most seats should get the first shot at governing, meaning if the Tories won the most seats but still only had a minority, Trudeau wouldn't join forces with the NDP in a formal coalition to topple Harper. His comments Tuesday did nothing to contradict that assertion, nor do they preclude working with the NDP if that party was in power in a minority situation. Tom Mulcair, for his part, has suggested in the past he's open to a coalition with the Liberals. However, he said talks about such an arrangement have failed, as Trudeau "has slammed the door shut conclusively every time we've raised that." "My priority is to get rid of Stephen Harper," Mulcair told Mansbridge in another interview. "Apparently Justin Trudeau's priority is to get rid of me." Harper, meanwhile, has been vocal in denouncing coalitions, saying they are illegitimate ways to form government. He told Mansbridge that he would cease to be prime minister if his party comes a close second in the election, signaling he would not resort to any procedural tactics to remain in power. If Harper wishes to campaign against the threat of a NDP-Liberal plot to bring down a Conservative minority government against voters' wishes — a rhetorical flourish and persuasive strategy used to good effect in the past — Mulcair and Trudeau's latest comments provide the sort of proof he needs as ammunition. At a campaign stop in Winnipeg on Tuesday, he seemed somewhat circumspect about his own long-term political future. He was asked if he was committed to leading the Conservative Party for four more years in the event of a majority government. "I always say whatever verdict the people deliver, we will respect the verdict, and obviously if I am elected, I intend to serve." Serve the whole four years? He didn't explicitly say, at least raising the possibility he could exit before his term expires.